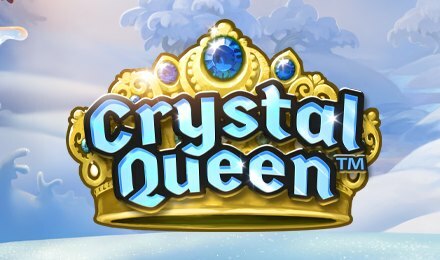 Crystal Queen Slot is inspired by a classic fairy tale and is based on HC Andersen’s Snow Queen! Consisting of 5 exhilarating reels and 20 to 56 paylines, this revolutionary video slot game will have you oohing and aahing from the comfort of your seat. Even the background is appealing to the eyes and covered in snow. What’s more? Throughout the main bonus feature, the backdrop changes into a green prairie covered in grass and flowers. Join the Queen for a fabulous virtual journey on Crystal Queen Slot and have a whale of good times! Log into your account at Wicked Jackpots through any of your preferred devices! Once you are set, launch Crystal Queen Slot and select the desired stake amount before pressing on the Spin Button! The aim is to line 3 or more corresponding symbols along a pay line. When it comes to the ream of symbols, it includes a reindeer, Crystal Queen and two younger characters. The rest of the symbols are 10, J, Q, K and A. Bet Levels: Crystal Queen Slot doesn’t come with any Bet Levels! Amount of Paylines Selection: The slot game offers 20 paylines. During the gameplay, it can be enhanced up to 56 through the outstanding features. Coin Values: Choose the bet of your choice under the Total Bet Tab by using the up or down arrows! Normally, the minimum bet is set at 0.10 and the maximum bet is set at 100.00. The Regular Wild Symbol is represented by the word “WILD”. It makes its appearance exclusively on reels 4 and 5. Plus, Wild can replace all other symbols to form winning combos, apart from the Scatters and Spreading Wilds. The Spreading Wild Symbol chips in for any other symbols when appearing on reels 1, 2 and 3 to complete winning combinations. In addition, this tip-top symbol can add extra Wild Symbols to random adjacent positions of the Spreading Wild. Activate this enticing bonus round on Crystal Queen Slot by landing up 3 of the Free Spin Bonus Scatter symbols in any position on the reels! Here, you will play with 10 free spins to try your luck. In this bonus game, all the 56 paylines are in play. Whenever you line up a winning combo, the Swooping Reels Feature is triggered! Here, the empty spaces are loaded with symbols that tumble in from above. When a successful Swooping occurs, you will notice that the frozen reels above will unveil and offer 12 additional paylines. This could grant you a level on the multipliers. Start the ball rolling on Crystal Queen Slot and have an unforgettable gaming session with the Queen!